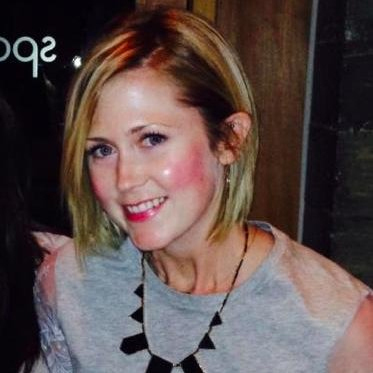 The challenge with content marketing? We don’t think about the human aspects of engagement. Humans are present -- but not for long if we don’t grab them right away. Our attention spans are now only 8 seconds long. A common misconception is that we assume that consumers are consumers. That they innately consume everything that’s in front of them. But as digital marketing pioneer Brian Solis asserts, attention is a gift. Content marketing is a tactic. To grab humans in this small window of time that they might pay attention to our message, your content needs to be mindful. Convince your consumers that this moment right now is important. And believe me, this means every word and every image must be thoughtful. Your job as a content marketer is to create experiences that are delightful, memorable and shareable. Content strategy is a means to an end. How do you and your consumers walk away from engagement with a feeling of satisfaction and value? You need to ask yourself, “To what end are we working?” And what does the engagement look and feel like on the other side? Become obsessively empathetic. But you also must offer remarkable content. 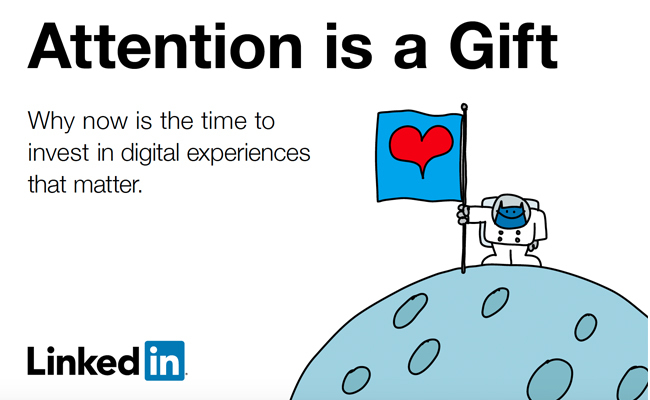 Dive in to the Attention is a Gift SlideShare to understand why now is the time to invest in digital experiences that matter. And for bonus points, continue on to our latest eBook, Attention is a Currency, featuring Brian Solis and Hugh MacLeod, to discover what makes remarkable content remarkable.